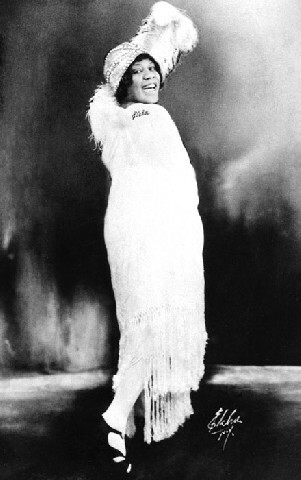 Mamie Smith was the first recorded blues singer. 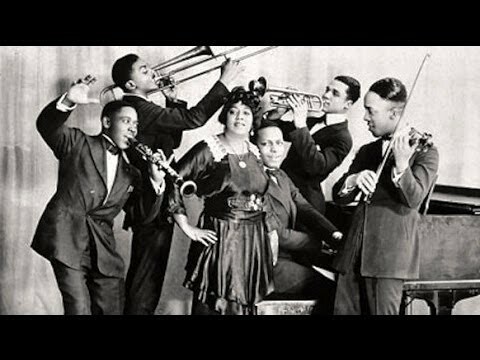 Mamie recorded with a jazz band. 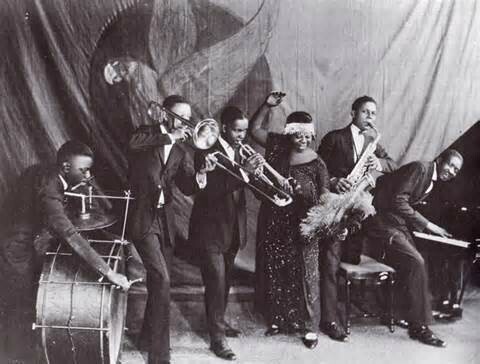 Ma Rainey was the Mother of the Blues. Bessie was the Empress of the Blues. 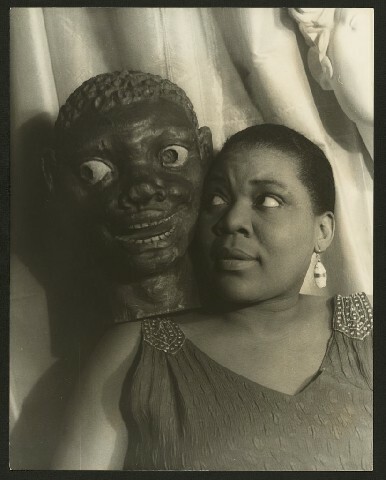 Photographed by Carl van Vechten who documented the Harlem Renaissance. 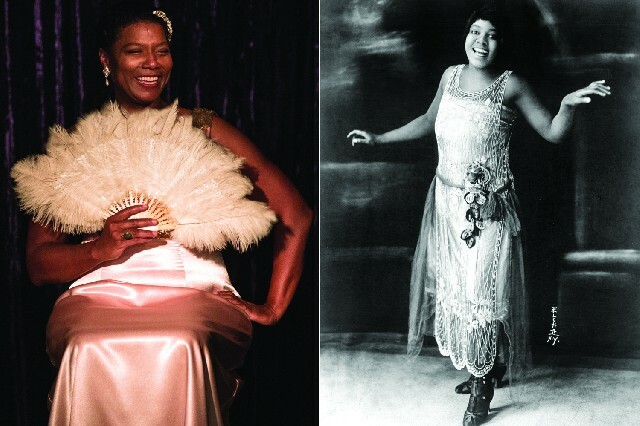 Kudos for a diamond in the rough portrayal of the down and dirty Empress of the Blues, Bessie Smith (April 15, 1894 – September 26, 1937), by Queen Latifah starring in the HBO biopic "Bessie." While taking liberties with the facts of her life this may indeed be the finest performance by Queen Latifah. In plunging deep into the persona of the soulful singer, the towering giant of her era, Queen Latifah bares more than just her soul. Like Bessie, a large and brassy, bisexual woman , in one of the most compelling scenes she morosely contemplates her naked self in the mirror. It took real courage for the actress to reveal a fleshy, middle aged body with sagging breasts. The image, however, richly conveys the earthy rawness of a great artist and iconic singer. The made for cable drama is based on the 1972 book "Bessie: Empress of the Blues" by Chris Albertson. It is a meticulously researched account of the life of a black woman who was a success in the 1920s and then fell with the nation's hard times in the 1930s. Her last four sides were produced by John Hammond in 1933. The film implies his plans for her comeback. She died while still grinding out one-nighters in the South. On September 26, 1937, Smith was critically injured in a car accident while traveling along Route 61 between Memphis, Tennessee, and Clarksdale, Mississippi. In the play by Edward Albee "Death of Bessie Smith" is implied that she bled out when refused treatment in a segregated hospital. Albertson pursues the documentation of what really happened but her violent death is not a part of the HBO drama. A fault of the production is that it ends with more of a whimper than a bang. The vaudeville star, Sophie Tucker, was booked for a recording session. Legend has it that rather than waste the date the producer scrambled to find a replacement. That proved to be Mamie Smith (née Robinson; May 26, 1883 – September 16, 1946). She was married to the piano legend Willie the Lion Smith. On August 10, 1920, in New York City, Smith recorded songs by the African-American songwriter Perry Bradford, including "Crazy Blues" and "It's Right Here For You (If You Don't Get It, 'Tain't No Fault of Mine)", on Okeh Records. Her "Crazy Blues," the first recording of its genre, sold a million copies mostly to a black audience. That launched what were called "race records" by independent black owned companies. They generally were bought out by major labels like Decca, RCA Victor, and Columbia Records. The recordings were sold at cheaper prices in neighborhood stores, beauty and barber shops. The Okeh inventory, which includes all of the recordings of Bessie Smith, was acquired by Columbia Records. An edited sample was produced in a series of now vintage Columbia long playing records or LPs. The entire oeuvre was later remastered and released in a series of double album LPs. This is particularly significant as the original recordings were made under primitive conditions. The earliest musicians performed without benefit of microphones into a large cone with a needle at its end cutting grooves into wax. It was impossible to record the bass notes. Through the craze of race records and its vast market an amazing number of blues ladies were recorded. In addition to Bessie and Mamie there were other Smiths, Hazel, Trixie and Clara. Bessie recorded some memorable duets with Clara. Most of those classic blues ladies- Victoria Spivey, Bertha Chippie Hill, Blanche Calloway, Baby Mack, Hociel Thomas, Alberta Hunter, Ida Cox, Sippie Wallace, Ethel Waters, Sarah Martin, Maggie Jones, Nolan Walsh, Mary Stafford, Lil Johnson- are now known only to fans. Many of the women recorded sexually suggestive lyrics like Bessie's "I Need a Little Sugar for My Bowl." There is an amusing collection of this off color material in "Copulatin' Blues" on Stash Records. Next to Bessie, indeed her mentor and patron, was the great Ma Rainey. She is a character in the August Wilson play "Ma Rainey's Black Bottom" but little of her music is presented in that drama. She recorded more than 100 tunes. The complex and riveting relationship between Smith and Rainey is nicely presented in the HBO drama. 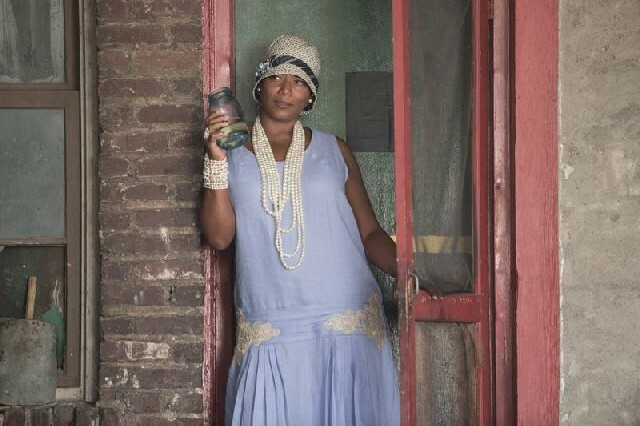 Ma Rainey is compellingly portrayed by Mo'Nique. We get glimpses of what it was like to tour the South during the days of brutal segregation. In the TV treatment we see Ma Rainey in her own decked out railway car. Given the poor prospects of dining and lodging while on the road this was more a necessity than luxury. The term blues is loosely applied to all of the black music of the 1920s and 1930s. There was, however, an enormous difference between the women who performed with bands, and the delta, or male country blues singers who generally accompanied themselves with guitars. The exception was Memphis Minnie who played a mean twelve string. The women like Bessie and Ma Rainey laid the foundation for the tradition of jazz singers. There is a direct line between Ma Rainey, Bessie and Billie Holiday. Bonnie Raitt has paid homage to this tradition particularly the obscure Sippie Wallace. Some of the great early jazz stars recorded and toured with the blues ladies. 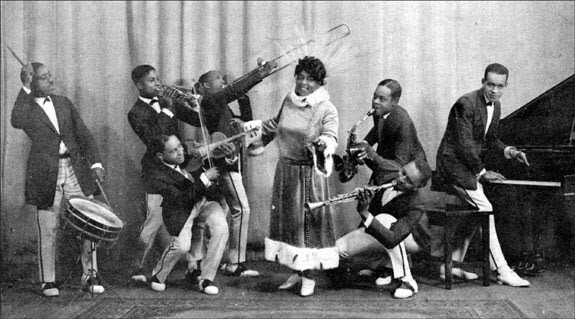 Louis Armstrong recorded with many of the women including Bessie. There is a great sense of call and answer in his exchanges attempting to coax something out of often marginal and now long forgotten singers. Armstrong biographer Terry Teachout dismissed this part of his discography in a couple of graphs. When I pressed him about it he didn't have much to add. Clearly it was an aspect of Armstrong that didn't interest him. In general the blues fanatics, like the British rockers of the 1960s, never paid much attention to the early blues ladies. Ironically, fans of early jazz, or trad, aren't much interested in lyrics other than those of Satchmo and Jellyroll Morton. There is a super supporting cast. Michael Kenneth Williams plays her husband and manager. He has many of the menacing, snarling expressions familiar from his role as Chawky White in "Boardwalk Empire." Khandi Alexander, Olivia Pope's terrorist Mother in "Scandal," plays her abusive sister Violet. Tory Kittles is her supportive brother Clarence, Tika Sumpter a lover, and Mike Epps a bootlegging boyfriend. 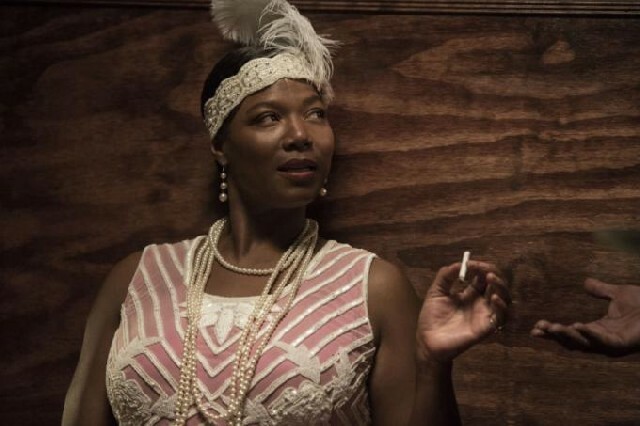 It would be nice to think that the efforts of HBO and Queen Latifah will stimulate audiences to go back and listen to Bessie and even Ma Rainey. All the other women during a great and productive era of African American music, however, will languish in obscurity.